We live in a highly competitive world. Jobs and promotions seem to favor those with more education or some special skills. You feel limited by your qualifications and probably threatened by the possibility of being rendered redundant at work. You don’t have enough money to sustain your lifestyle as well as further education. Still, your work and family schedules don’t allow you to enroll for any courses. We have compiled a list of 45 free online courses to help you improve your chances of improving your career from the comfort of your home. Moreover, some of the courses here are self-paced. You can start anytime and finish anytime. These courses are categorized into career fields. Check them out and see which one interests you. 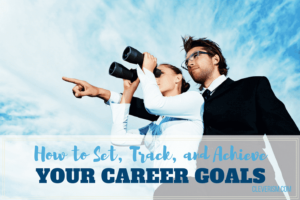 You don’t have to take the courses which are in line with your career only. Consider expanding your skills by taking a course which will build your capacity in other ways too. Entrepreneurship is easily the one most needed career lines in the world. With unemployment plaguing the world, entrepreneurs who succeed in expanding their businesses provide some relief. As such, it is critical that they get the necessary help to do this. Whether you are an entrepreneur or aspiring to become one, there are lots of free online courses you can take to better the chances of your startup’s success. Here are some great ones to start you off. Starting a business is not as easy as many think. If you have started one, then you know this well. If not yet, then now you know. Rarely will you be able to start big. You will often start small because of financial constraints. As such, you cannot afford to employ many employees, spend as much as you would like or even go into full production. This is why going the lean way is important. In lean operations, you basically cut off anything that is secondary in nature to remain only with the most necessary operations. This may mean cutting off on possible number of employees at the beginning. If selling goods or services, then it could mean starting with only a small product line. Take this course from Udemy here. It is one thing to start a business and another to grow it. If starting a business is challenging in itself, how much more is growing it? The reason you started your business in the first place was to satisfy the goal of providing a solution. As you do this, you eventually have to grow. But how exactly do you get to the point of growth? This course from Udacity will not only answer this question but also help you gain industry-relevant knowledge. You will learn the customer development process and how to test your ideas early. One of the most important aspects of growing your business is having a mentor. Mentors are important because they have the experience which you lack. Unlike those who give theoretic advice, mentors give you practical advice. They share the insights they have learned through their own journey. A good way of seeing this in action is looking at the difference between learning in class about how to run a business and actually running a business. With the changing trends in the business world, you need someone who has been there and learned through practice. And that is where this course comes in. Jason Nazar, CEO of Docstoc will share with you what he has learned from working with small businesses as well as working in his own business. There are many options available for online business. You can decide to sell merchandise, offer online consultancy services, be a freelancer working with clients from abroad etc. All the same, running an online business is a bit different from the traditional business run from physical buildings. This has many advantages which make it a very good choice. Key among the advantages is the low cost of starting. With an online business, you do not need to rent huge spaces for employees and machines. All you have to do in most cases, is have a computer and an internet connection. However, there are challenges too. But since you have to succeed, this course teaches you how to build your own website and build an online business which can make $5,000 per month. From Coca-cola, Google, Microsoft and even Lego, you can be sure there is serious thinking going on behind the scenes of a successful company. No business succeeds without strategizing on how to beat the competition and maintain quality products or services even with little funds without strategy. This is the starting point for business success and without it, action will not lead you to success. As something that really separates the small from the big, average from the successful, business strategy is not something you just pick up as you go along. You either spend a lot of time thinking, go through a process of trial and error or hire an experienced executive. Keep in mind that the experienced executive will not be cheap. Take this course and learn the fundamentals which you cannot grow without. We are in the digital age and everything is happening online. This might be in the form of a normal website, e-commerce site, blog, Facebook page, Twitter account or any other social media platform. Every business has to connect with its customers. And an effective way of doing that is by going online. With customers searching for businesses online, it becomes necessary for your businesses to be on the internet. HTML is the backbone of every website. Whether you are using a template or building the site by writing the code, HTML is key. Although there are free templates and content management systems which can simplify your work, learning HTML goes a long way in making you a pro web developer. CSS on the other hand is what enables styling of web pages. It takes care of all the formatting of the web page. HTML itself can do some formatting but CSS is better as it was designed primarily for that. So, register for this course from Khan Academy and be on your way to becoming a pro web developer. In web development, rarely will you have a project which doesn’t include a database. Every modern website has some data which it either stores, manipulates, retrieves or all of these. That means the data has to be stored somewhere, and that is a database. There are many types of databases but the good thing is that the majority of the common ones are accessed using one language—SQL. Despite there being some minor differences between some versions of Sql, most commands are the same. As a must in web development, Khan Academy offers to start you off. There are many programming languages but some stand out from the rest. Php is one of those which stand out. It is widely used in web development and is necessary if you are to claim any expertise. Php’s importance is for the back-end. When web users interact with your website and provide or request data, it is Php that works behind the scene. This language is very dynamic and powerful enough that it is used on major websites like Wikipedia, Facebook and WordPress. Codecourse has a free course to help you learn the language and become grounded enough. We are living in a world where technology is the solution provider. Unless it is technological innovation, few solutions count. This is fueled by the rise of Internet of Things (IoT) where the world is moving towards full inter-connectivity. This means that there are systems which will be required to access the data being provided by these interconnected devices. The simultaneous communication will have to be handled. Automation is also needed in industries and business to cut down on costs as well as increase productivity. All these mean that systems have to be built. Below are a few courses which can help you on this field. Java is a popular programming language. Mainly because it borrows from the popular C and C++ languages though with some modifications. Intended to be easier to learn compared to these, it has been embraced by many professionals, becoming a great choice among programmers. Java has been credited with some big projects like Minecraft, Gmail, PDF Studio and others. You can be sure that it capable of doing the job. To start you off, MIT provides this online course to help you form a foundation on which you can build more advanced skills. Since the process of systems development is rarely a short one, there are some practical skills worth learning early enough before you land that big project. These will enable you to have a hands on approach in solving programming problems or when designing a solution. Instead of being green as you work on a solution, take this course from TU Delft, and have some work experience passed on to you. Modern systems have a mobile side to them. People are often accessing systems through mobile apps and any system that does not offer this convenience risks being rejected. As a result, now more than ever, there is a need for mobile apps programmers as this is where the attention is. With the course from Udacity, you will learn the basics as you begin with the user interface. You will then have the opportunity to proceed into more advanced topics like storage and multi-screen apps. Despite the IOS platform not having a big market share like Android, it has a very solid following. Iphone’s customers are very loyal to the brand and there is always a need for apps to be developed for them. Those users who move to IOS from Android usually complain that there are fewer apps in the app store compared to the google play store. With the app store being under stricter control than the play store, this is an opportunity for growth. Take this course offered by Udemy and learn the process of building an Iphone app. You can never go wrong with that. Python is another programming language that has gained massive popularity. It is a general purpose language and that makes it useful in many situations. Python has been used in projects like Youtube, Dropbox and Instagram. Python is also being used in embedded systems, though lagging behind in rank after C/C++. Machine learning is becoming more popular as science strives to create systems and robots which can interact with humans just like humans. These systems are however intended to do more. Since this is the future, why not learn from MIT how to implement this technology using python? Information is all over. It is generated daily and analyzed for the purposes of understanding situations and their causes. Statistics are also important for planning and both governments and organizations use the data to come up with policies and make decisions. If your career is in statistics, here are some free courses for you. When collecting information in the field, you have to know how to put the outcome of your survey into measurable data. This course has been designed specifically for those in the medical field. Some of the lessons you will learn include how to develop a questionnaire, designing the research studies and ethical issues related to health research. Are you planning to interview people as part of your research? Then you will do well to learn some research skills especially useful when in unfamiliar settings. This course does not assume you have any prior knowledge on interviews and so it’s a great start if getting into the surveys field. You will learn the lean research principles of rigor, relevance, respect, and right-size. After taking this course, you will be able to do your surveys even in unfamiliar settings. In a statistics career, research is almost at the center of everything. Although there is analysis to be done, research is the source of the data to be analyzed. As such, you need to understand the methods of collecting structured data and also how the analysis is done. This course teaches you the whole process from definitions to data analysis. No prerequisite knowledge is needed. Before you set out to do a survey, it is crucial to know how the various research designs and methods compare to one another. Without an in-depth understanding of this, you might start off the research only to later realize the need to have used a different approach. This course teaches you about systematic comparative analysis and also introduces you to modern software developed to handle complex cases. Apart from those who work on the things they are passionate about, many people are working for money. But those who are passionate about their jobs also consider money as important. With needs such as savings and investments, there will never be a shortage in the need for financial advisers. Below are some courses to help you improve your career prospects in this technology age. Fintech is a combination of financial services and technology. It is basically the new technology that is aimed at improving financial service delivery. Fintech can also be said to be disruptive technology i.e. technology that is set to bring about a big change in the way things are done. Being fairly new, it is still in its early stages of adoption and there are no set policies and procedures implemented to govern the innovation. This is why some of the technology is yet to be approved of by large corporations and government. Taking this course from HKU will help you be in front of your colleagues as you get information on the best practices as well as the risks involved. Fintech is the general technology while blockchain is one of the technologies defining fintech. Blockchain brings a totally new perspective to financial operations. The technology eliminates the traditional way of recording transactions and uses cryptography for a more secure and open system. If you are working in the financial sector, it is important to know how this technology works. And to help you out, here is a free course from Hong Kong University. We cannot talk about financial services without mentioning money markets. Millions of people invest in different types of investment vehicles on a daily basis and watch their money grow. If you are to be one of the sought-after financial advisers, then the money markets are important for you to understand. People need advice on which markets are the best, how to invest, when to do it etc. To be a valuable adviser, learn about these from the Indian Institute of Management, Bangalore. Are you an aspiring political scientist? Do you listen to political analysts and marvel at their knowledge and ability to predict events and outcomes? Then turn your desires into tangible success. Check out the below courses to help you gain the understanding you need for a solid career in political science. There is no way you will become a political scientist by just studying history and not understanding the political institutions. You have to know how the courts work, how the democrats and republicans think and operate, the powers of the president etc. This is a fundamental lesson before you even start going deep into history. There are many changes that have taken place in the world which you will do well to know about. With history behind us but threatening to repeat itself, how do the modern times shape our societies and world in general? This course from FedericaX will help you understand the driving forces of international politics. Politics determines a lot of things, from social freedom to economic stability. Since countries govern themselves yet are subject to international organizations, what does the future political scene look like? Looking at life, societies and governments from the lenses of history, anthropology, sociology, economics and psychology, this course seeks to understand how times have changed. You can register here and join the team that looks into the future of humanity. If you do any kind of drawing, then we got you covered. Since you play a big role in the look of magazines, websites, buildings and everything that has a face, here are some free courses to help you advance. Gone are the days of drawing in 2D. Putting images on a flat surface doesn’t sell anymore. Your customers want to see it as it would appear in real life. For this reason, you should learn 3D modeling. Whether you are designing a house or a bridge, this will help you showcase your ideas better. This course from the Indian Institute of Technology Bombay will guide you through architectural visualizations and use the Blender 3D creation tool to demonstrate the concepts taught. Graphic design is growing more popular by the day. The skill of generating images and drawings for any purpose is a great one to have. Yet not everyone has it. Fortunately, you can learn in case you desire to. This course offers you what possibly no other course provides. It does not teach you any Photoshop tricks or How-Tos, but the very fundamentals needed to be a graphic designer. After taking it, you will be able to think like a designer and not just think of how to edit images. Thinking like a designer is the way to become a real designer. Apply here for free. You obviously know that Adobe is the reigning king of design software. At least you have heard of Photoshop and its image manipulation abilities. But that is for photos, just as the name puts it. Although you can do some original work on it, Illustrator is what you need to use to create new material. And what better way to start than with logo design? As simple as the project might seem, it is really the best place to start. Drawing the lines and shapes which form a company’s logo will get your skills growing fast. Take this course and learn how to design with simple shapes, using negative space, choosing the right typeface etc. These and other lessons will help you understand the techniques used in logo creation. Big tasks are often handled as projects. However, projects can also be small. A project can be simply defined as any task which has multiple processes or sub-tasks. This means that several people will be working together and therefore, proper management will be needed. 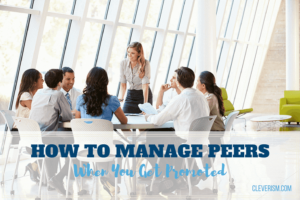 You may have been tasked with managing a project at work. Or you want to learn so as to be able to do it when called upon. Even if for any other reason, the below courses offer a good place to start. Scrum is a project management technique which has been popularized by software developers. It is based on the agile methodology and is widely used in large projects. This is a necessary project management technique to learn if you are a project manager or aspire to handle projects. This course teaches you the processes, roles, mechanics and philosophies behind scrum. From the course, you will also learn how scrum differs from other agile implementations as well as the pitfalls of the agile methodology. Agile is the methodology on which project management frameworks have been built. One of its biggest advantages is the ability to deliver a working product quickly. This brings about another advantage: lower costs. As such, in your project management role, utilizing this methodology will guarantee you these advantages. All the same, you need to be aware of the principles of task management under the agile method. Taking this course will help you understand that. As a project management technique, the agile methodology has been applied to leadership. This has brought a significant shift in how leadership is conducted. Unlike the old days of having a leader who has all the control, teamwork becomes the new way under an agile methodology. Through this course, you will learn how leading under an agile system redefines leadership and distributes roles. Some of the things that clearly distinguish a leader from a follower are vision, focus and a desire to develop others. In all these things, you have to lead without falling under the weight of any pressure. The below courses will help you add to your bag of skills. There are very few—if any—successes that can be achieved without a touch of creativity. And if you thought that creativity is only for those in the art careers, you are wrong. There is a place for creativity everywhere. Including in your business and personal life. This course teaches you the importance of creativity in tackling challenges as well as how to use brainstorming techniques for the best results. This is a must course for you if you are working in an organization where you have to convince the stakeholders. As a leader, you will have to engage with different personalities whom you cannot ignore. As such, you need to learn how to communicate with them and win their support. This course will teach you how to understand the interests of individual stakeholders and their perspectives. You will then know how to handle your team (employees) and get cooperation from those with power over you. Influence does not end in the boardroom with stakeholders. It flows down to the employees under you. Although you may not be directly interacting with employees at all levels, your influence reaches them. Your style of leadership is evident and everything you do easily gets noticed. When you learn how influence works, you will realize the need to probably change some aspects of your leadership so as to motivate and more smoothly direct your staff in the right direction. Take this course and learn. Thinking is great but it is decisions which matter most. As a leader, you are responsible for what happens in your organization. And that responsibility means you will be making decisions. It is therefore crucial that you learn how to make effective decisions. This course helps you learn this and also teaches you why you should take into account the uncertainty of future developments. Not many people have dreams and goals of becoming teachers. They want careers in medicine, IT or even business fields. However, teachers are of great importance and if not for any other reason, at least because they teach those in other careers. If you are in this field, be proud of yourself. Below are some of the courses you can take to further your skill level. Computer programming skills are a must have for today’s kids. Whether they will be professional coders, doctors or even attorneys. Programming is a skill worth learning early. The beautiful thing about programming is that it enables you to utilize your time especially when faced with repetitive tasks. Won’t you like to see your students or your own children writing small computer scripts to automate tasks that have to be done often? Learning how to write computer programs also develops thinking as kids learn how to solve problems using logic. This course will help you teach this skill to kids. Scratch is a beautiful way to teach programming using fun videos which make it easy for children to learn. As a teacher, you need to have a deeper knowledge and understanding so as to teach effectively. With a course designed for teachers, you will learn all the basics as well as have the opportunity to broaden your scope by learning the basics of the python language. This has been included in the course so you won’t have to look for other resources. Psychology is not just for psychiatrists and counselors. Being a science about the mind and helping understand human behavior, psychology can be a game changer in your teaching career. With this 4-week course, you will learn the principles of learning and cognition, teaching methods and classroom management, child growth and development, and evaluation and assessment of learning. You will be better placed to handle a class and help your students achieve their learning goals. If businesses are developing an online presence, then marketing is also happening online. There can never be any business without marketing. Being a non-traditional platform for business, you will not go wrong when you take some lessons to help you sell to the online market. The main reason businesses are going online is to connect with customers. Since you are targeting the same customers your competition is after, you have to employ some strategies.. And this is where this course comes in. Some of the lessons you will learn are how to use video marketing while on a budget, the must-have image creation tools for marketers and the social media algorithms you need to understand and how to use them in your favor. The course comes in email form, one email a day for 25 days. Google, the biggest search engine, has provided an easy-to-use and comprehensive marketing tool for any marketer to use. Using this tool, you can see how effective your online campaigns have been and how much traffic they have gathered. Instead of spending a lot of time learning on your own, take this course and easily master this tool. You will learn how to implement Google Analytics, interpret the data it provides, how to translate that data into actionable insights, and other lessons. Gone are the days where you used to send an email just to announce that your new shipment has been received. You can use email to do more effective marketing. And to get you started and running fast, is this free crash course from hubspot. It teaches you how to grow an organic email list, avoid spam filters when sending bulk emails, nurture your leads and improve your conversion rates. After taking this course, you can expect better business online. Quite different from email marketing, this is intended for those marketing through their websites. With Google searches being the number one way to search for businesses online, how do you rank higher than your competition? Learn all about Search Engine Optimization (SEO) and how content marketing works. Wondering about lead generation? Such topics are covered in this course that comes in the form of ebooks delivered via email. You may not be aware of it but there is a lot of lead generation that comes from these techniques. Register for this course and change your website if you have to. The results will be there to prove you right. Writing is a career that satisfies mostly those with an artistic mind. Most writers love some form of art. Since art is a means of expressing yourself, it flows naturally out of you. But that doesn’t mean you’re going to be automatically successful in communicating. If you are a professional writer, you will greatly benefit from the guidance you get from those who have been in this career for a while. And some of them offer help for free. Check out the courses below. Do you write speeches for your clients or boss? If so, you need to take this course. Writing a speech is not as easy as people think and if you are already writing, then you know this to be true. This course will teach you how to plan the speech, what to focus on and how to deliver the message. It comes through weekly emails for a total of 10 weeks. Being a work of imagination, it is easy to think that you don’t need any lessons on this. But the lessons are important. They will help you add so much value to your writings. From building your characters to plot development, there is certainly a lot that learning can help you with. This course teaches you how to create fictional characters, how to present them in stories, read as a writer etc. You will also learn the importance of peer reviewing and feedback. Writing a long story can be a daunting task. You may first feel as though you have enough content only to get stuck once you begin. Or at the middle. You may feel like the new ideas your mind is generating are no longer aligning with your original story idea. What do you do? Through this course, you will learn how to create characters, build the world of your novel, manage the pace of your writing and even perfect your voice as an author. You can either receive the course through email or take it from this website. When writing non-fiction material, you have to be careful to only give factual information. Non-fiction writing often includes research since accuracy is necessary. Whether writing about a past event or about a topic of your expertise, there are rules, or best practices which will guide you to success. Here is a free course which will teach you writing hacks to get started, how to learn from the reviews of similar books, how to hook your readers and how to stay productive throughout the writing process. Writing for the business world is very different from other kinds of writing. This is where your expertise really comes out. In the business world, books are referred to as “the new business card”. This is because they position you as a thought leader in your industry. If that is true, and it is, then you can’t just write simply because you have the content. There is the structure of the book to think about. There is also the intended goal of the book as well as your target market. This course will teach you these and also help you set appropriate writing goals. As you can see, you don’t have to get stuck with little knowledge because you cannot afford more education. Take as many of these courses as possible and increase your capacity. You will soon need that knowledge.